It happens a lot. Children with autism leave a safe, supervised area because they are attracted to something of interest, especially water. This tendency to wander, combined with no intrinsic sense of fear, makes drowning the number one cause of death among children with the disorder, according to the National Autism Association. Accidental drowning accounted for approximately 90 percent of total deaths in the United States in children with an autism spectrum disorder (ASD) under fourteen. Water safety training is important for every family, but children on the autism spectrum are at higher risk because they may seek isolation, and flee to unfamiliar areas. About 49 percent of individuals with autism will engage in eloping behavior, according to the Autism Society, which looked at about 600 cases from 2011 to 2015. In those cases, accidents resulted in death for 44 percent of children ages nine and younger. The attraction to water has a scientific basis: It’s due to the hydrostatic pressure, which creates a calming effect for individuals with autism. 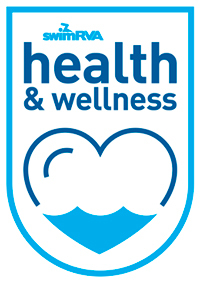 However, these individuals usually do not have any water safety skills. The unfortunate result for families is higher drowning rates among children with autism. • Roughly half of children with ASD attempt to wander from a safe environment. This is a rate nearly four times higher than their unaffected siblings. • 32 percent of parents reported a close call with a possible drowning. • Wandering was ranked among the most stressful ASD behaviors by 58 percent of parents of kids who wander. • 62 percent of families of children who elope were prevented from attending and enjoying activities outside the home due to fear of wandering. • 40 percent of parents had suffered sleep disruption due to fear of elopement. What can families do to not only help their children with ASD be more successful, but also reduce stress among family members? According to the Autism Spectrum Disorder Foundation (ASDF), swimming provides invaluable therapy for children with autism, as well as a social outlet. Swimming can help an autistic child improve his speech, coordination, social skills, self-esteem, and cognitive processing. Too often children with autism are excluded from sports or have a difficult time because there are too many components involved. Once under water, even in a team setting, a child is alone and does not have to anticipate someone else kicking him the ball or tagging him out. He is never responsible for the success of an entire team. During a swim lesson with a child who has autism, an instructor needs to realize that students with ASD are affected by their environment which can impact their behavior. Providing swim lessons in a structured and safe setting will facilitate the student’s success. Instructors need to understand that just standing still in the water will seem like movement, so moving slowly from one position to the next will help build trust with the student. Another key for improved learning is to use visual cues whenever possible while keeping verbal commands to three words or less, providing the student sufficient time to process instructions. Swimming offers a child with autism success no matter what the outcome, which might be harder to come by in other situations. ASDF and the Autism Society of Central Virginia provide direct scholarship money for swim lessons for families in financial need. The benefits from swimming are remarkable and can be great therapy for a child with autism. 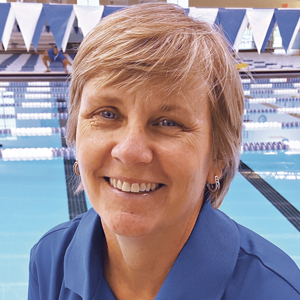 Debbie Kelo, PhD, is director of programs at SwimRVA, a facility offering many water- based water and land group wellness classes to help keep everyone in the family healthy, active, and fit. Dr. Kelo has her bachelors in physical education and business; she studied sports management for her Masters and received a doctorate in adult education and human resource development.